Brad Sugars started the ActionCOACH brand when he was in his early twenties. Today the company is internationally recognised as the leading global business coaching firm and one of the leading and most awarded franchises in the world today. So how did a twenty-something Australian create this global powerhouse? He did it through hard work, determination and a well-organised, systematised approach that leads businesses to profits. Today ActionCOACH operates in 54 countries and has more than 1,000 offices around the world, coaching 15,000 business every week. The franchise has received numerous awards including Fastest Growing Franchise, Franchisee Satisfaction, Best Overall Company and has been named the number one business coaching franchise in the world every year since 2004. 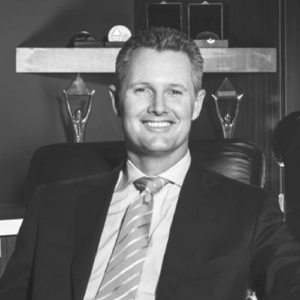 In 2006, Brad Sugars returned to the company as CEO and helped guide the company through an expanded period of growth and the challenge of changing economic conditions world-wide. Using the coaching strategies that have helped thousands of companies around the world, Brad and his executive team are taking “business re-education” to new, more innovative and exciting levels.